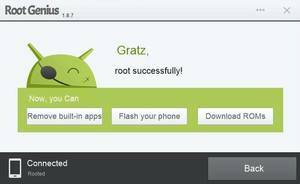 Rooting an Android phone is not a difficult thing at this time, because there are many rooting tools now, such as Framaroot, Towelroot & Root Master. 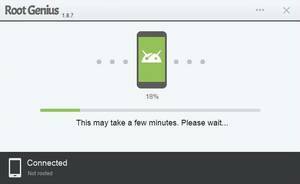 Lucky if you use a popular Android phone, you will get a good support from the community at XDA Developers Forum or anywhere else. On the internet, you can meet lots of users and developers who are contributing and helping each other. However, Android has thousands of types of phones, and rooting tools can not handle all these types. At least, I can say almost, some rooting tools can handle almost any Android phone. One of them is Root Genius, this is a desktop app that runs on the Windows operating system. You do not need to install it, because it is a portable app. Yeah, just download and run it, then root the Android. Root Genius allows you to unroot your phone, too. 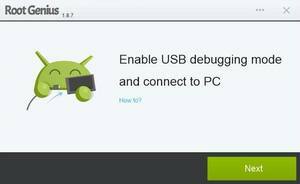 If the rooting process is finished successfully, you will have Kinguser on your Android. It’s a root access manager like SuperSU or Superuser. You can freely replace with your favorite app. 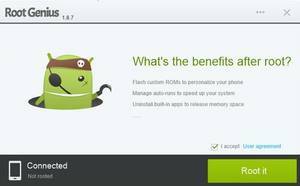 The developer said that Root Genius supports more than 10,000 phone types, but they don’t provide the list. Let the other users know if you’ve successfully rooted your Android phone.